Is your carpet stained beyond recognition? Isn’t it finally time to take care of it? Yes, we realise that you are afraid about it getting damaged but dry carpet cleaning Liverpool team is going to come to the rescue. You have probably heard these nightmarish stories how someone’s carpet got destroyed by incompetent cleaners while this same person had to pay astronomical rates at the same time. We are fully aware what can go wrong with other companies and have taken all the necessary measures for it not to happen with us. 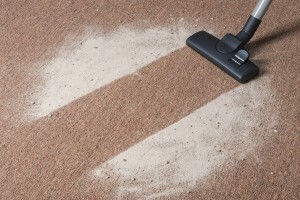 First off the dry carpet cleaning procedure has greatly evolved during recent years. And our company has managed to stay up-to-date with the recent trends and innovations. This sanitizing procedure does not require steam cleaning systems or water based detergents. 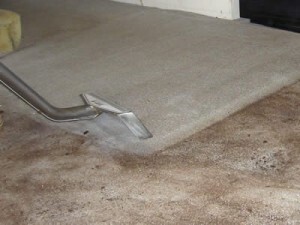 We will wipe clean you carpet without putting anything in liquid for on it. This basically reduces the chances of damaging the fabric by more than 90%. We use special chemical solutions that are non-toxic and harmless. They allow us to get rid of all sorts of stains, dirt or filth that might have gotten on your favourite carpet. There’s nothing to be skeptical about – we come on a said time during the day, work our magic and leave you with a big smile and a stain-free carpet. We won’t bring heavy machinery to your house and we won’t make any noise at all. Count on our swift premium service and never overpay again. Speaking of paying we will also show you how to save money by hiring the best carpet cleaning company in the area. Our methods while proven and effective won’t cost you a lot. Carpet cleaning Liverpool fully understands people’s concerns and we know that “professional service” sounds scary and looks like something you will have to pay a lot. That is not the case with us. You will receive our full effort and service at a discounted price if you call now. Add more hygienic procedures and take advantage of even better deals. We can even help you with your floor cleaning needs.